This month's LUX limited signup will launch for only 48 hours on Tuesday, March 20th at 2PM Central. LUX is a one-payment lifetime GTribe subscription. LUX subscribers receive all of the UX enhancements, an exclusive pulsing diamond badge, and are granted priority access to our latest technologies. 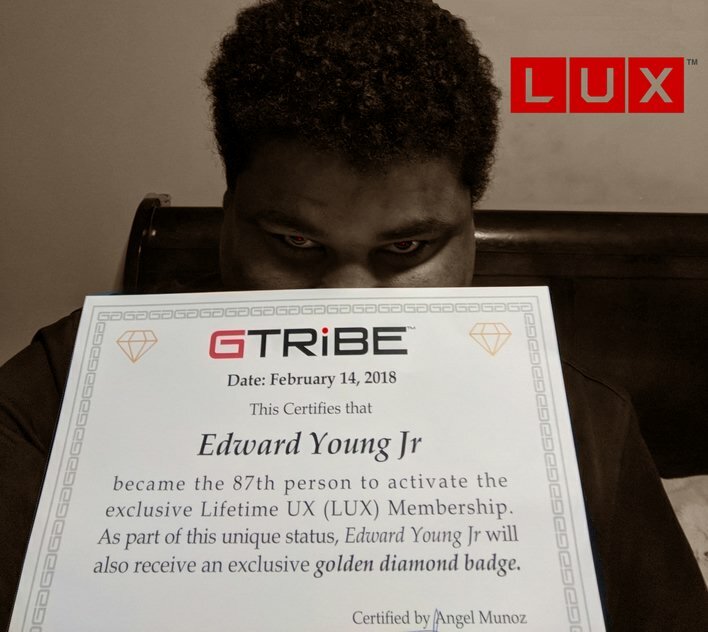 Each LUX member also receives a numbered certificate, hand-signed by GTribe's founder, Angel Munoz. photo features LUX member number 87: Edward Young Jr.